Not everyone has enough time to apply for a traditional bank or a SBA business loan or can pass the stringent underwriting criteria. 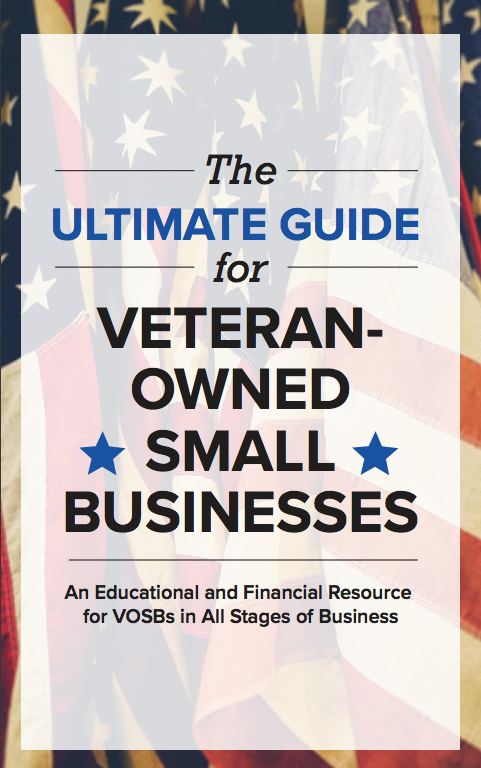 So, many veteran business owners turn to online lenders who make it quick and easy to get business funding. However, small business lending doesn’t have near as much regulation as mortgage or student lending. So, some lenders find ways to explain their terms that may be confusing to any small business owner. Understanding the terrain of business loan offers is a challenge and we want to help you discern the differences and the fine print. A few weeks ago, we provided loan calculators that presented the true cost of capital for a Kabbage loan offer. Today, we’d like to do the same for an OnDeck business loan offer as well as help you understand their prepayment charges. Annual Percentage Rate (APR) is the main number you’ll want to look at to understand the true cost of capital. The APR takes every fee into consideration, including the factor rate, interest rate and other fees, and calculates it into a complete annual calculation. 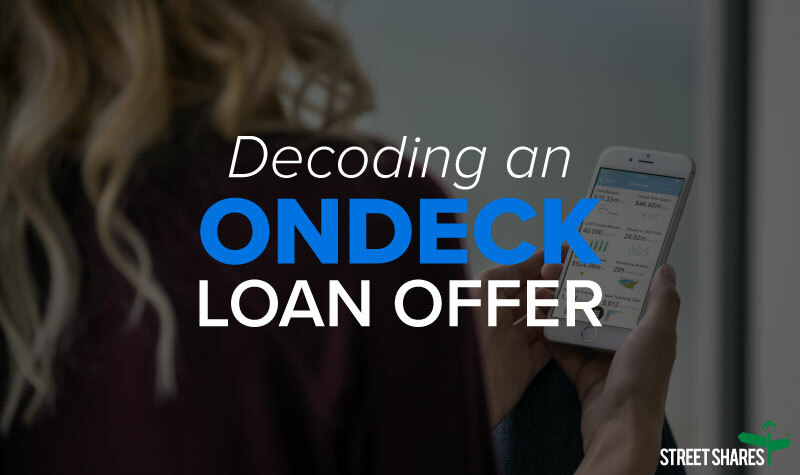 OnDeck provides term loans and lines of credit. Today, we’re focusing on their term loan financing option. OnDeck requires payments on term loans either weekly or daily. You’ll see two calculators below that will help you determine the APR of each. Prepayment Discounts or Prepayment Penalties? For any OnDeck business loan, you will pay the complete amount of interest whether you pay it off early or not. Typically, lenders call this a prepayment penalty, which is a fee or charge if you pay off your loan earlier than the full term. OnDeck calls this a prepayment discount. 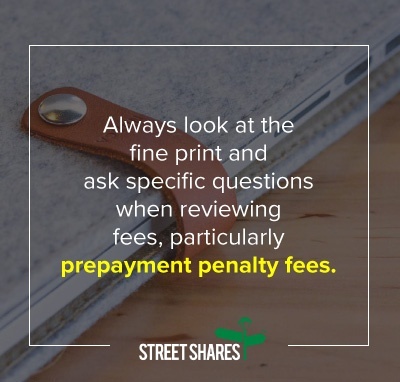 They give business owners a 25% discount on your outstanding interest, while many lenders, like StreetShares, don’t charge a prepayment penalty. In other words, OnDeck will accelerate the interest for the remaining term and you will have to pay 75% of the interest, even though you are not carrying a balance for the rest of the term. As an example, if your business loan of $20,000 has a 26% interest for 26 weeks and you carry the loan through the term, you will pay ~$1,400 in total interest. But let’s imagine that after taking the loan the next day, your small business earned enough money to pay off your business loan, you will still need to pay 75% X ~$1,400 = ~$1,050 in accelerated interest charges. If there was no prepayment penalty or a 100% prepayment discount, then you would need to pay $0 in interest. As mentioned earlier, small business lending has fewer government regulations like mortgage or student lending regarding pricing disclosures. A few associations have been formed in recent years to help business owners understand their rights as a small business owner. The Responsible Business Lending Coalition created the Small Business Borrowers’ Bill of Rights and have identified six fundamental rights that all business owners seeking funding deserve. It outlines specific practices lenders and brokers must abide by to uphold those rights. StreetShares is a member of this organization and has taken a stand for small businesses and believe in responsible business lending. The Small Business Borrowers’ Bill of Rights has been signed by 59 small business lenders, brokers and marketplaces and has been endorsed by 32 endorsors who support the Small Business Borrowers’ Bill of Rights. Another association called the Innovative Lending Platform Association created the SMART Box credit comparison tool. OnDeck and six other lenders are members of this trade association. They created a model pricing disclosure to help small business owners understand their small business finance options. You can refer to the SMART Box to understand the APR of a small business loan and prepayment penalties. As a signatory of the Small Business Borrowers’ Bill of Rights and a responsible lender ourselves, we ensure a transparent experience for business owners who apply for a business term loan, line of credit or government contract financing. We disclose every fee, interest rate, show the total cost of capital and do not charge any prepayment penalties. Contact us with questions on applying for a VA businss loan or on your current loan offers. Apply for a business loan, line of credit or contract financing with us to see how we compare.